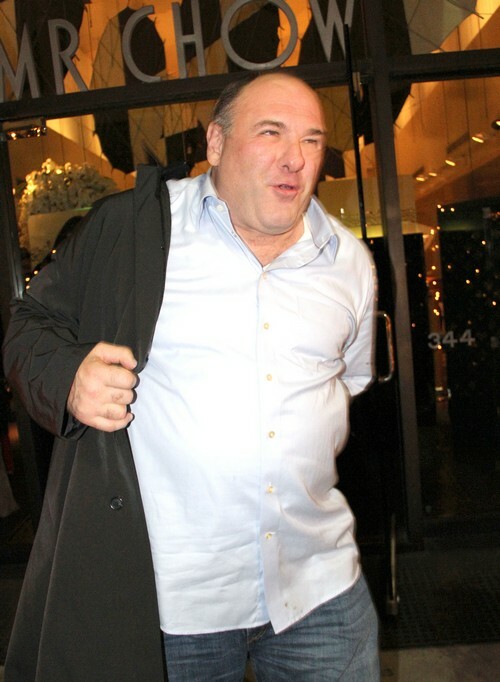 James Gandolfini needs to get on the Weight Watchers plan with Jessica Simpsons. James was enjoying dinner at Mr. Chow’s last night. It looks like James has enjoyed one too many dinners since leaving his role as mob boss Tony Soprano on The Sopranos. Wonder what his excuse is now? Perhaps he can call Jessica Simpson and she can get him on the Weight Watchers plan!